MVD Free Airport, Carrasco International Airport’s business unit that operates a multimodal distribution center in Uruguay’s largest airport, received an additional Lufthansa Cargo Boeing 777 freighter, a new and modern aircraft that helps improving the current cargo capacity to tackle the growing demand of connectivity to Uruguay by the main global pharmaceutical shippers. The B777 Freighter will be complementing the already existing 777 Freighter currently transporting cargo to MVD Free Airport, in one of the two weekly frequencies that Lufthansa Cargo operates. The freighter is substituting one of its current aircrafts, the MD11F (McDonnell Douglas) in a strategic move to provide the route with augmented capacity to tackle the connectivity needs of Montevideo airport. This upgrade takes place at a very special moment for the airport, currently incrementing its participation in the transit of pharmaceutical cargo proceeding from the largest markets in Europe, Asia and North America, with destination in some of the larger countries in the region. “It is pivotal to continue strengthening Uruguay’s routes with Europe, and with Germany in particular, this step is a confirmation of the global carrier’s recognition of Uruguay’s recent growth as a gateway for South American distribution”, said MVD Free Airport’s Managing Director, Bruno Guella. 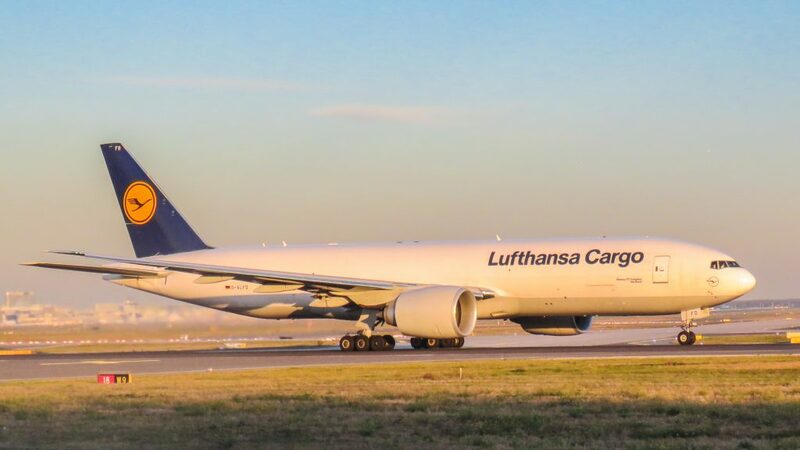 “The new B777F is the biggest cargo aircraft currently moving cargo from Europe to Montevideo, we expect that the market will keep on supporting this strategic route” ”, complemented Eduardo González, Lufthansa’s Cargo Manager in Uruguay. “The capacity will be augmented by 25% in comparison to the MD11F, allowing for the transportation of 27 containers in the main deck (AMJ) and 32 containers in the lower deck (LD3)”, Gonzalez commented. MVD Free Airport has been undergoing significant growth in the provision of distribution services for global pharmaceutical companies in the region and has in the past two years been selected by several leading global pharma companies reaching the main South American markets.